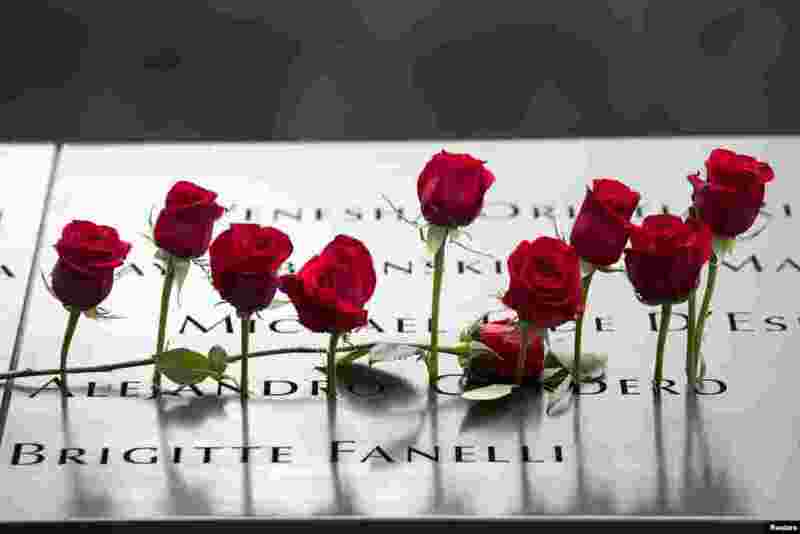 1 Roses are placed on the memorial during a ceremony marking the 14th anniversary of the attacks on the World Trade Center at The National September 11 Memorial and Museum in Lower Manhattan in New York. 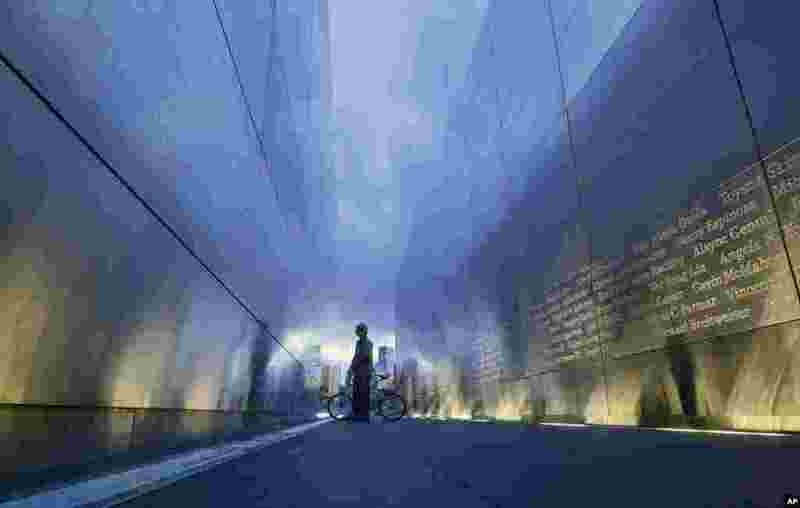 2 Tamir Rivera, of Newark, pauses to look at the names on the "Empty Sky" memorial to New Jersey's victims of the Sept. 11, 2001 terrorist attacks, in Jersey City, New Jersey. 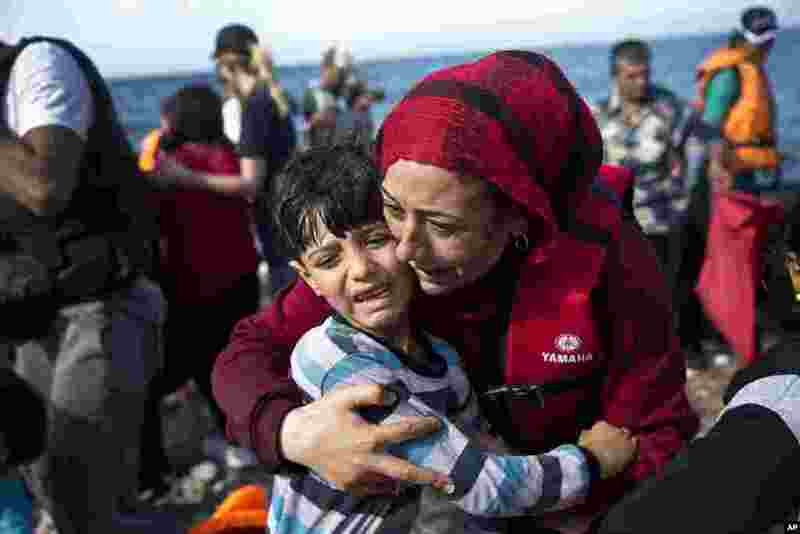 3 A Syrian woman embraces her child after they arrived with other migrants on a dinghy from Turkey to Lesbos island, Greece. 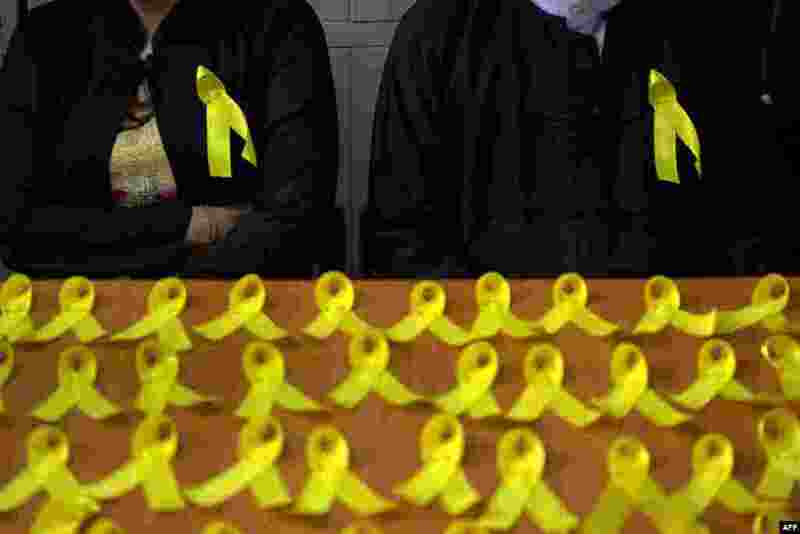 4 Myanmar lawyers wear yellow ribbons pinned to their jackets, a new symbol of defiance as public servants increasingly voice opposition to the military's dominance of public services, as part of a campaign in Yangon.